Happy Spring! 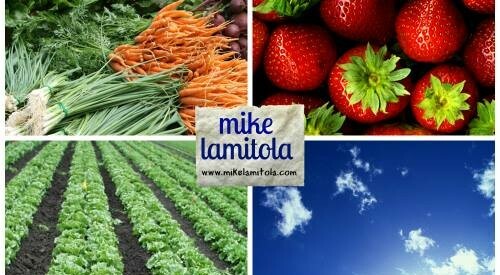 It’s that time of year for farmer’s markets, fresh strawberries, spending more time outdoors, getting our Vitamin D naturally (it’s more available now to those of us in the Northern Latitudes) and last but not least, fresh seasonal greens! In Eastern Medicine, it is important to bring balance and harmony in with the seasons. Spring is the time to nourish the Liver and we see a perfect example of that by all the fresh Greens that are starting to grow for us to eat. Everything we eat and drink passes right through the Liver so that’s definitely an organ we want to keep happy! 1. Wash broccoli rabe and cut stems into 2 inch pieces. 2. Warm oil in pan on medium and add garlic; sauté for 2 minutes. 4. Add broccoli rabe to pan & sauté for about 3 minutes. 5. Add water, cover and allow to steam for 2 minutes. If needed add a little more water and allow to steam for just a few more minutes. To serve, spread in plate and drizzle with some Olive Oil. *If you want to serve this over the brown rice pasta, just boil the pasta for 10 minutes while you are cooking the Tempeh and it will all be ready at the same time. Bonus Spring Health Option – To really get yourself prepared for the warmer weather and leave winter behind, click here for my 11 day program filled with more great recipes just like this one. • 5 min Stress Relief MP3!